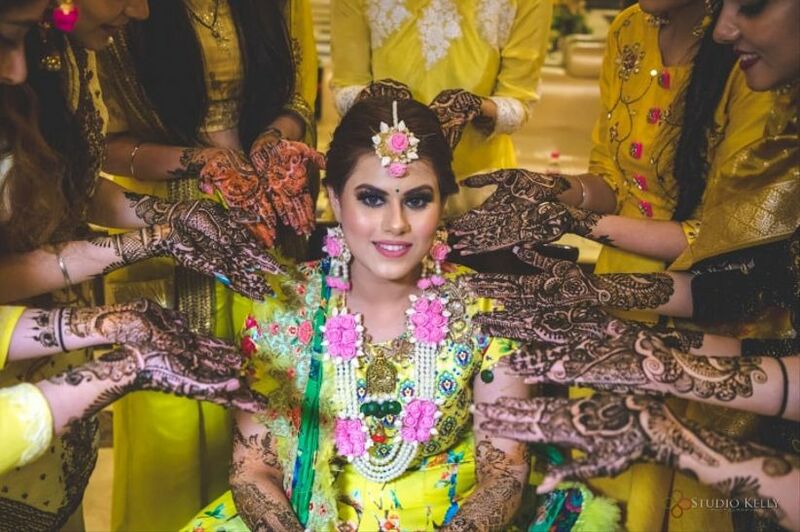 Create Stellar Mehndi Photos With These Cool Henna Pic Pose Ideas That Are Absolute Perfection | Wedding Tips ARE YOU A VENDOR? A distinctly Indian way of decorating the beautiful bride is with the mehndi. 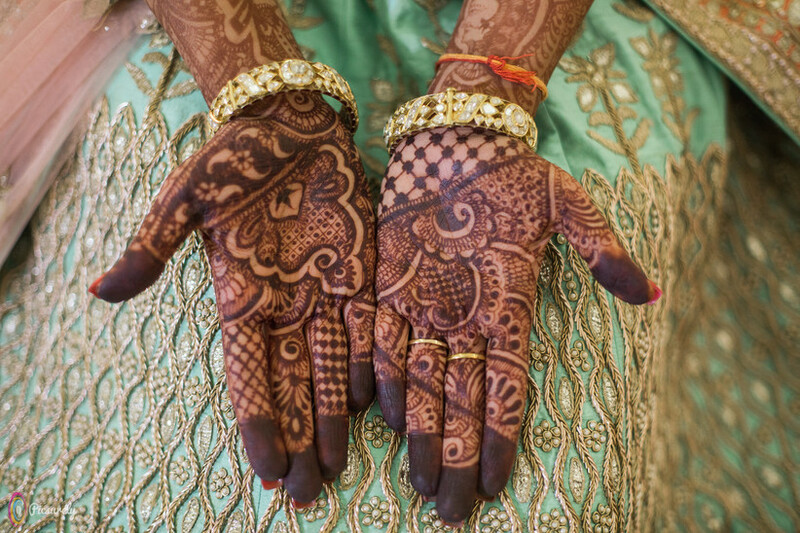 Due to its intricate design, photographers can’t help capturing the beauty of a bride’s mehndi-laden hands and feet. Click, click. 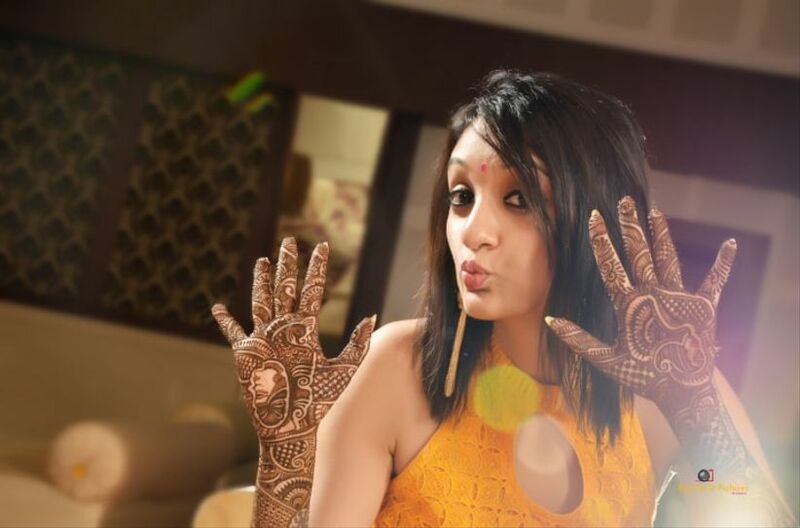 Get your hennaed hands into perfection by setting them up in your Mehndi photos. 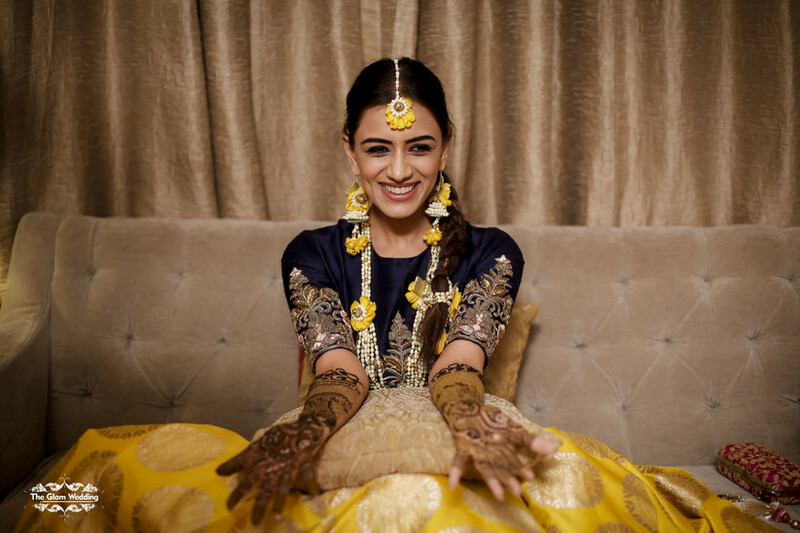 And so, add visual memories to this fun and enticing aspect of your traditional Indian wedding, with the Mehndi ceremony. 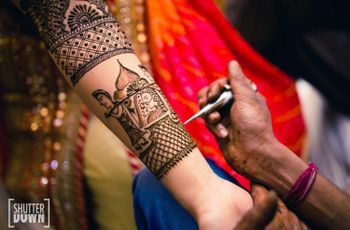 It is the traditional bridal tattooing ritual which takes place just before the main wedding ceremony. 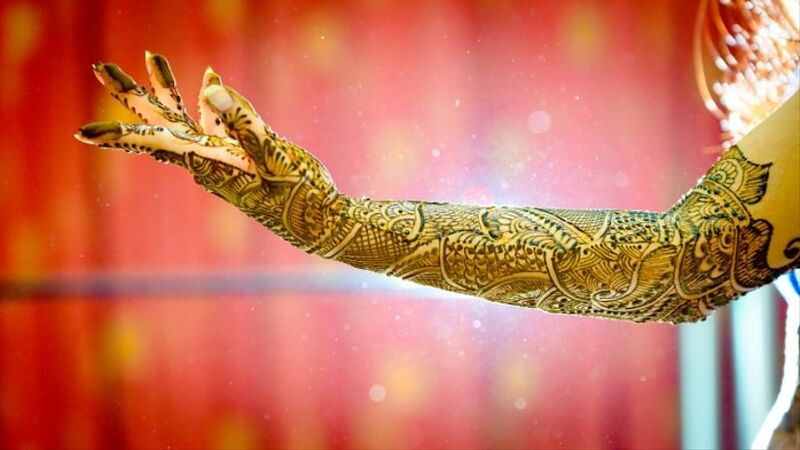 As a matter of fact, an Indian bride has to sit for hours to get her hands and feet tattooed by a mehndi expert. The ink used for the tattoo is from the dried henna leaves. This renders the tattoo temporary as it wears off with time. 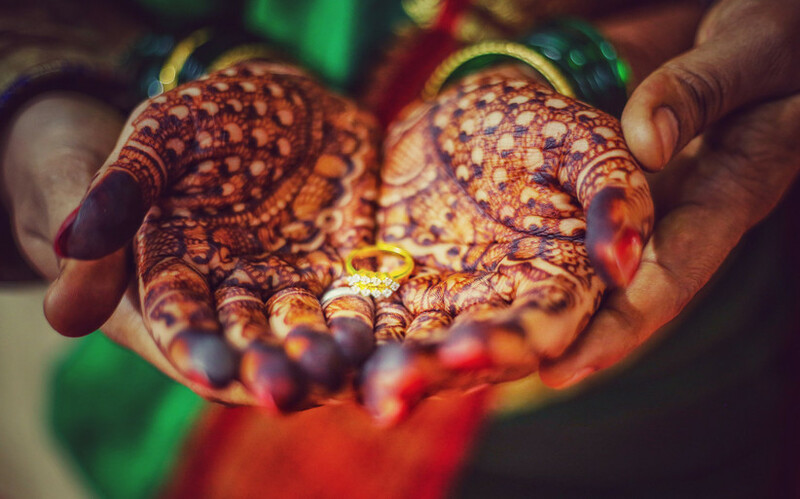 But even this seemingly ordinary event comes with a superstition as it is believed that if the mehndi’s colour is darker, the stronger the colour of love in marriage will be. For wedding photographers, however, preserving the beauty of the mehndi is a primary reason to keep it darker and long-lasting. Photographs best capture the most memorable parts of your wedding. 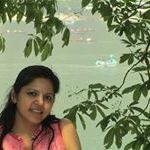 It is the duty of the photographer to document these memories beautifully but they will need input and suggestions from you to make the most out of it. So make sure your wedding photographer is ready with his camera as you strike one pose after the other. Expertly manicured hands with a fresh pack of henna drying off in a precise pattern. That's perfection and that's stellar set of mehndi photos all by itself. Create such a combination by planning for your fun Mehndi ceremony by getting a fresh manicure ahead of the Mehndi ceremony. Next, get your wedding photographer to hover over your palms from the time the Mehndi design artist leaves them to the time when you can get up and join the festivities. This will add a lot of flavour, especially one that's candid to your Mehndi photos. Mehndi photos make henna designs look exquisitely beautiful with close-ups. 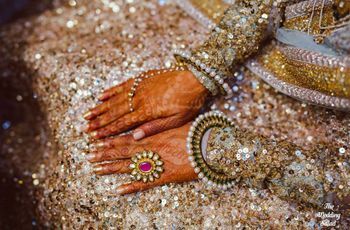 Have a detail photo of your mehndi-laden hands and arms as well as your feet. Your jewellery, other accessories and part of your dress or bridal lehenga captured with your mehndi will add to the beauty of this photo. For the Mehndi's sake, have a photo taken of your mehndi laden feet or your hands together with the groom’s. This does not only bring contrast to the picture but it would also seem to tell a story or simply add romance. Mehndi can even have a seductive effect on those who see it. 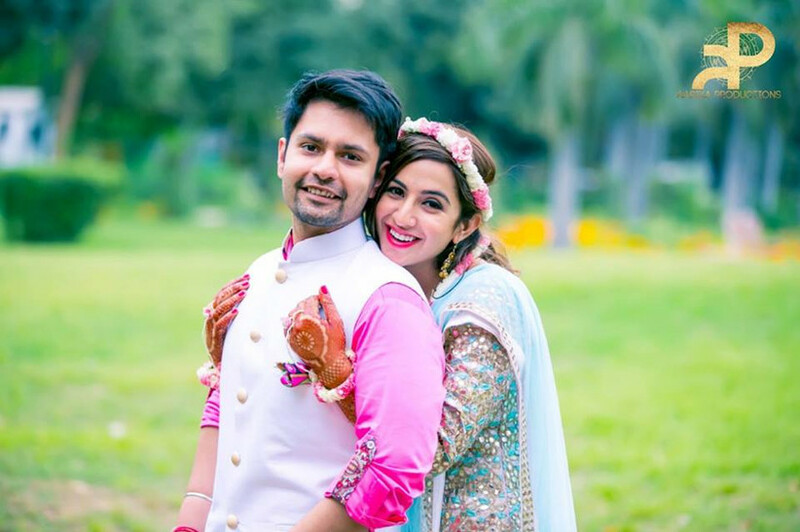 In fact, couple pictures are always the cutest and the most romantic, even with just the hands and the feet as part of Mehndi photos. A fun way to add drama to the photo of your mehndi-laden hands is to use a frame around those hands. This way the frame gives emphasis to the hands and the mehndi. Make sure to use a frame with a colour that will compliment your dress and the background. A fading or blurred background will do the trick to concentrate the focus on your hands. 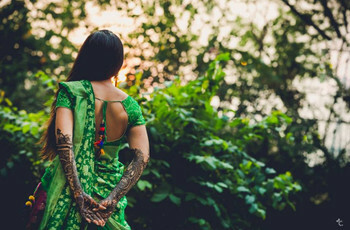 If you are one of those who loves to be in front of the camera or have a taste for modelling, flaunting the mehndi with a power pose is a sure way to go. You must very well know your perfect angles and the parts of the mehndi you want to be emphasised in your mehndi photos. You can surely make a statement instead of just the candid photos. Not everyone is photogenic and knows their perfect angle but you can still add drama to your mehndi photograph by asking the aid of the finest photo studio in town. Nowadays, photo studios offer custom designed sets according to the theme of your choice perfect with the props, while others may suggest location shoots. It works pretty much like pre-nuptial photo shoots only this time your mehndi will be given emphasis. It can be costly, but certainly has benefits for those who want a full photo shoot. Bridal mehndi is one of those many things that a bride must indulge in. I mean who doesn't want the beautiful henna to add onto the bridal grace. 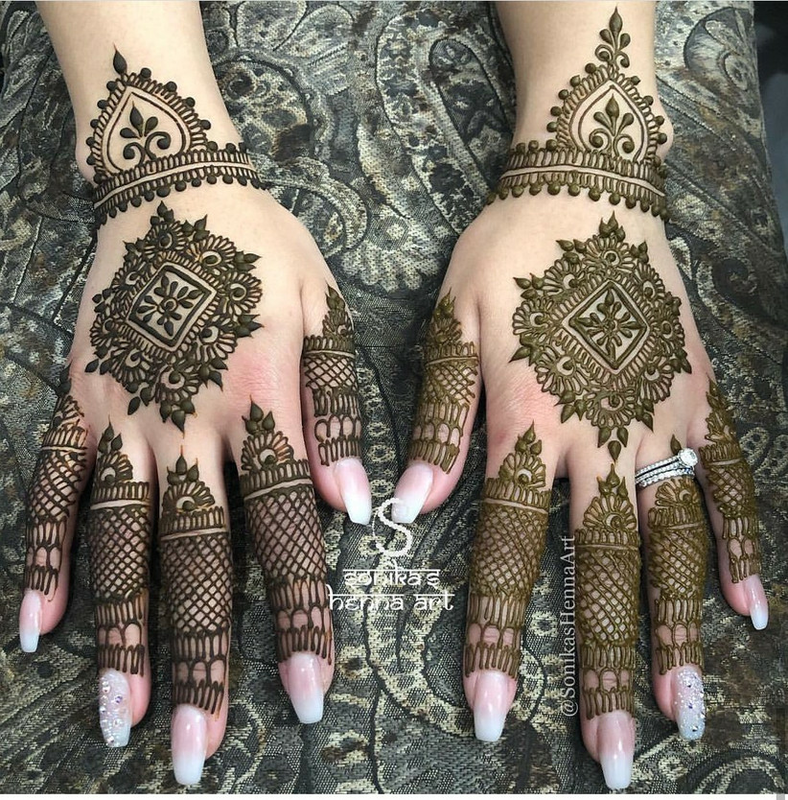 You can have a look at some of our mehndi vendors and go through the plethora of designs that are available nowadays for the millennial bride to adorn her hands and feet with. Have a look at some of these Rajasthani Mehndi designs and find the one that you love best.